Ah, Sundays. Formally known for morning lie-ins, pottering around the house doing leftover chores, and Antiques Roadshow. But no more. 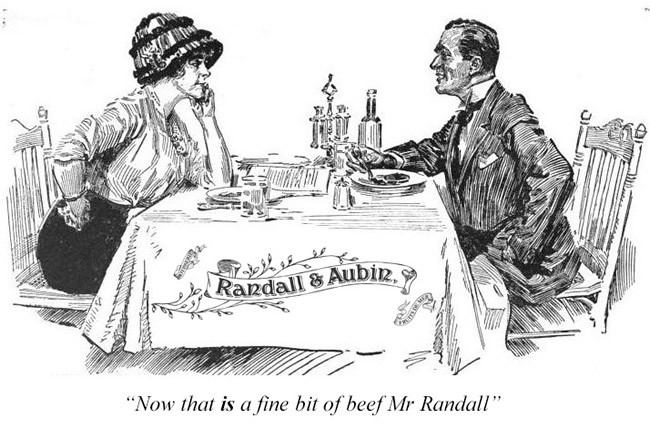 We're aiming to jazz up your weekend and inject a little fabulousness into your Sunday, because from Sunday 11th March, this day will be famous for one thing and one thing alone - the chance to indulge in Randall & Aubin’s Sunday Lunch Club. 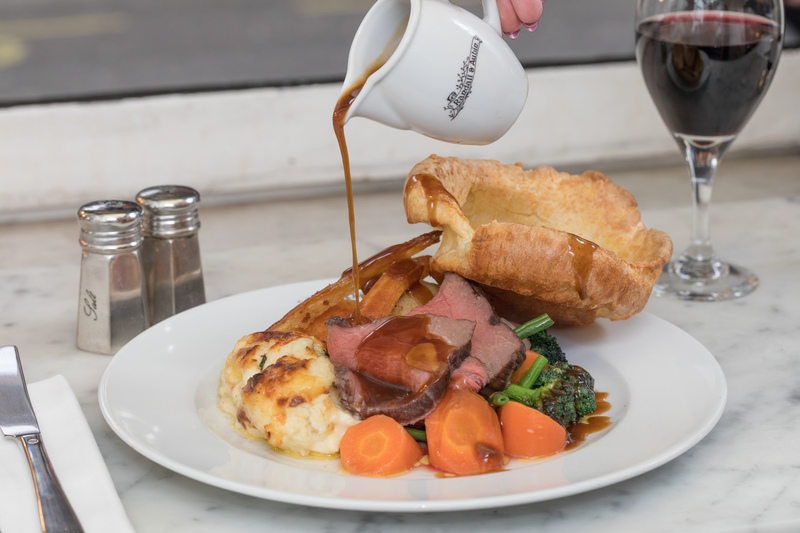 That’s right - the Great British Tradition of Sunday Roasting is being elevated to extraordinarily heights, Randalls style - all for an amazing price that won’t have you wincing. Come and join us for our prime rotisserie Scottish beef with all the trimmings plus a carafe of Malbec - for only £18.50 per head. Because what better way could there be to bookend a week than sitting with friends and loved ones to enjoy succulent meat alongside the warming spiciness of red wine? If you’ve yet to experience our rotisserie beef then you’re in for a treat. We cook prime Black Angus Beef with trussed aged fat the traditional way, roasting the beef on a rotisserie so that the meat juices are constantly self-basting and caramelising around the joint. This creates the unique and unforgettable flavour that has become so popular with our customers. This delectable meat is then served with a Yorkshire Pudding, roast potatoes, and seasonal vegetables - plus of course, it’s not a proper roast dinner without the gravy, and our Bordelaise red-wine gravy is the ideal accompaniment. For the first few weeks of our Sunday Roast Club, we’ll be running a competition to win a table for two to enjoy our new Sunday offering. Follow us on our social media channels (Twitter, Facebook or Instagram) to find out more and to enter! Don’t settle for anything less when Sunday rolls around, and join us at Randall & Aubin between 12.30pm - 5.30pm for our Sunday Roast Club. Because the weekend deserves to finish with flair!